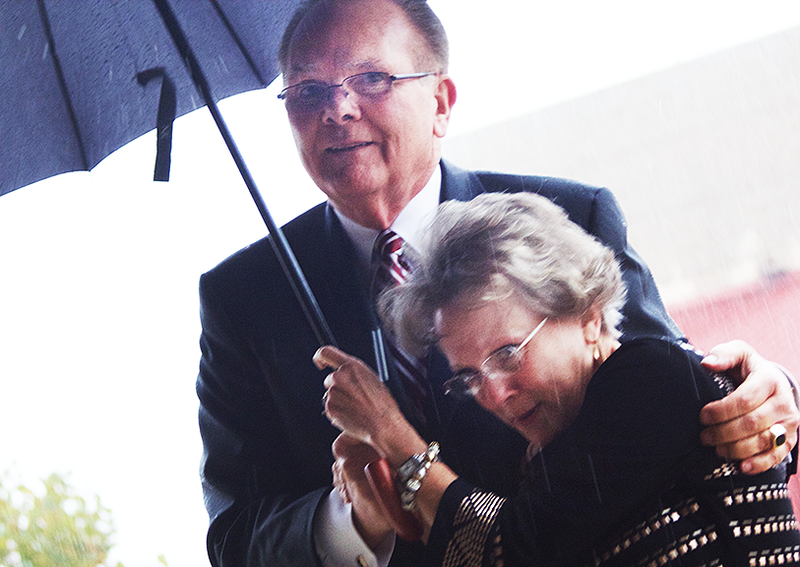 OCCC President Jerry Steward holds an umbrella for first lady Tammy Steward before the investiture. “My wife Tammy is my biggest supporter,” Steward said.Steward, recently named the college’s 10th president, was officially invested at the Oct. 30 ceremony. About 800 people attended the event including a number of state dignitaries.